Prior to joining our family, Nika lived in a baby home in Russia. She was baptized in the Russian Orthodox church and celebrated Russian Orthodox holidays, as much as a two year old living in a baby home could do. It is very important for us to recognize her heritage, so I just wanted to share a little about the holidays that she celebrated in Russia. This is one of the greatest non-religious holidays in Russia, celebrated on a noble scale. 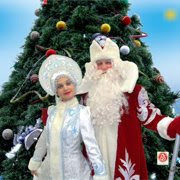 The main attributes are the New Year's tree, Grandfather Frost, and the Snow Maiden. This amazing holiday is accompanied by the Presidential speech, chime of bells, fireworks, hymns, and family feasts. It is a tradition to drink a glass of Champagne and to wish for something after the last stroke of chime. Gift-giving is especially loved by children: sweets, toys, dolls, bicycle, etc. 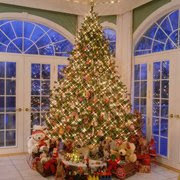 But grown-ups also do not miss a chance to congratulate each other on the beginning of New Year. The best gifts for this holiday are: fruit basket, jewelry, wool blankets, wine. Religious holiday, celebrating the birth of Jesus Christ. According to the Russian Orthodox church, Christmas occurs on January 7. 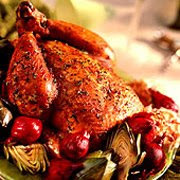 All the family members gather on this day together and have a delicious dinner. Duck with apples is a traditional meal for Russians on this day. Many people attend special church services and pray. Like New Year, Russian Orthodox Christmas is a family holiday. Among presents for this day the 1st places are taken by fruit basket and wool blankets. The tradition to celebrate this holiday is explained by the fact that the Russian Orthodox Church still follows the old calendar. On this day we say farewell to the passed year, hoping that next year will realize all our dreams. They say that it's also a good chance, for those who haven't managed to relax to their fullest during New Year celebrations, to have fun. Gift-giving is not compulsory for this holiday, but to please their close friends and relatives, people can present soft toys or some sweets. Very cool, such a gift to her that you are keeping in touch with her roots! Will you continue to celebrate these events with her or just acclimate her to your family's traditions? Is the an Orthodox church near you? I went to a mass at one once and it is such a beautiful service!